Friday, July 13th marked Day 10 of the MTTS cross-country run. Only one more day before the Motorers would be making their way into Golden California. But before crossing the border between Arizona and California, the band of MINIs would be crossing the border between New Mexico and Arizona. After an early Rise and Shine Rally and breakfast (7:30 am at Sandia MINI), it was 418 miles to cactus country, Phoenix Arizona. Upon reaching Arizona, the MINIs made their way to the Saguaro Hotel, the host hotel as well as the site of the evening’s festivities. MINI of Tempe and MINI North Scottsd ale threw the ultimate pool party. This fun event included lots of water, live music, food, drinks and plenty of sun. Wrapping up at 9:30 pm the MINIs and their drivers tried to catch as many zzzz’s as possible before participating in the second to the last Rise & Shine Rally on Day 11. Saturday morning would be the start of the last leg of the cross-country rally, 375 miles concluding in sunny California. While the MINIs were driving from New Mexico to Arizona on Friday the 13th, Sis (Bitzie) and I were prepping for our infusion into MTTS. Say what…. well let me explain. Living in California and not being able to take much time off from work, we could only jump in – at the end, Los Angeles, but we did not drive to the event, we did not walk either. My sister and I actually took a rather inte resting route to get to LA and by that I don’t mean the roads that we traversered. I mean the modes of transportation. We both own MINIs, her’s a 2008 Pepper White Cooper S Hardtop and mine, a 2007 Pepper White Cabrio S – Sidewalk package. We both love our cars so much that we did not want to subject them to the horrible roads of California. 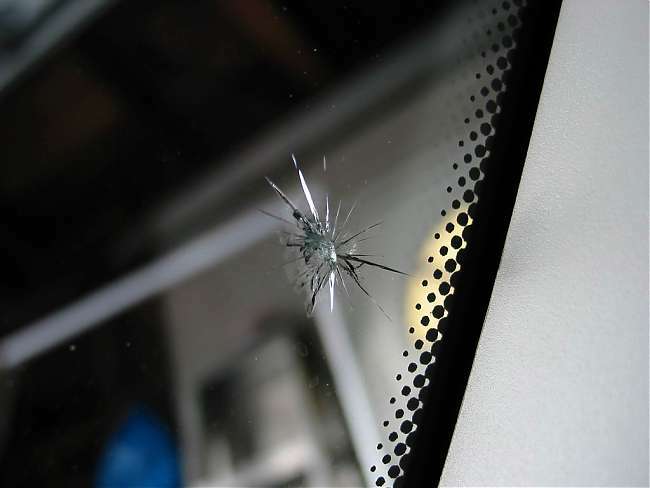 We are tired of chipped windshields, cracked windshields, damaged paint and all of the other road injuries that I5 and other California freeways/highways inflict upon our cars. We chose instead to take the train to LA and then rent a MINI once we got there. We had the privilege of bringing a sweet little silver MINI “Justa” Cabrio to MTTS. Being a rental, (a foster child of sorts) I am sure that she never thought that she would have the opportunity to mingle with other MINIs in the number or geographical diversity that she did. 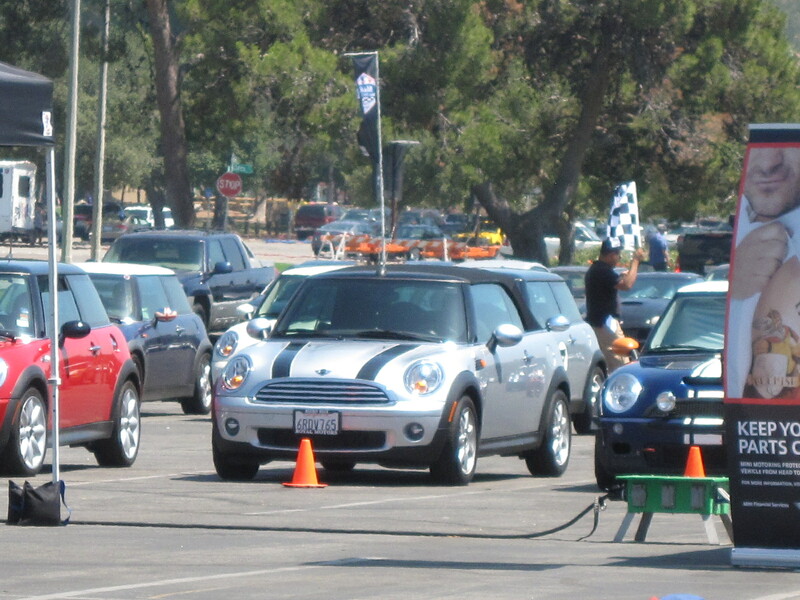 (Not to worry about OUR MINIs however, as the Pepper White “Coop” attended MTTS in 2010 and the 2007 Pepper White Cabrio (MINImowse) got to go to Disneyland a few years ago – almost as good; she even parked next to another MINI on the Mickey level of the Disneyland parking garage. Our little adopted MINI was a real cutie and very quickly acquired the name “Bridget” as she was the bridge between our train travel and our participation in MTTS! Her home between rentals is right on the Pacific Coast Highway (PCH) in Newport Beach and she rubs fenders with Ferrari’s, Lamborghini’s, Maserati’s, Porsche’s and Mercedes. She holds her own quite well and according to her “agent” she is quite popular. In fact, when we dropped her off on Sunday (that was really hard to do) she was already booked for another outing and this one was for 45 continuous days! Now that’s a rental bill. Day 10 for Bridget consisted of several trips to Frys (we were building a desktop computer and server with family and friends), Pizza night and runs for the ingredients for homemade ice cream. The girls all turned in early but it was hard to sleep with MTTS just a few hours away. As of this post the event has come to an end, but it was announced at the wrap party that there will be another MTTS event in 2014. So mark your calendars as you don’t want to miss this one. Where will they start from this time? Where will they end? 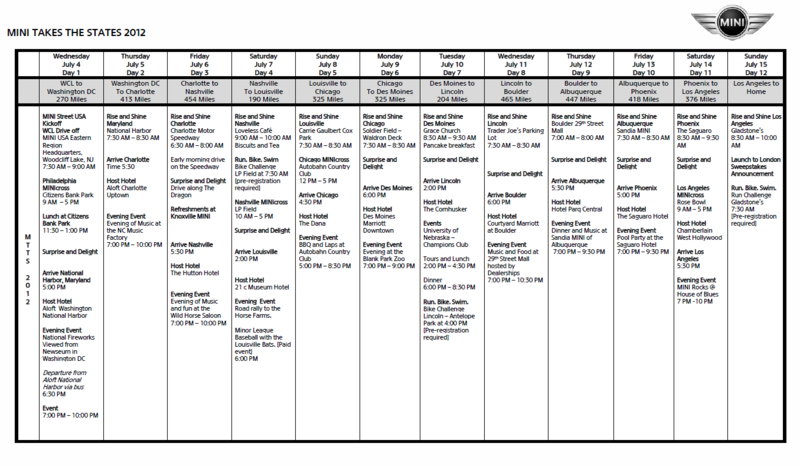 What events will be planned? Many MINI minds are surely hard at work even now. MINI WENT FORTH. MINI WENT WEST. MINI WENT ALL THE WAY. Click here for the MTTS Photo Album. While I have fallen behind in posting pictures, they will be coming soon. 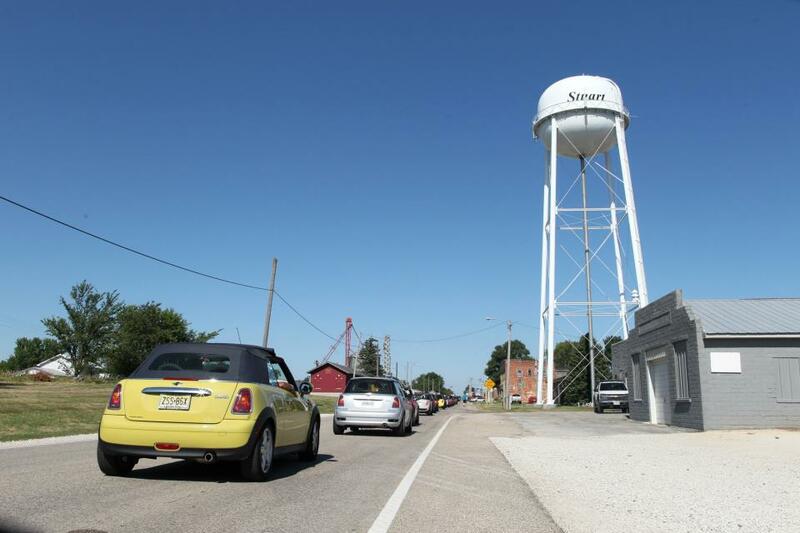 MTTS 2012 Recap – Day Nine, plus more! Closer and closer to California were the MINIs as they started out Day Nine of MTTS. It was Boulder Colorado to Albuquerque New Mexico or 447 miles. 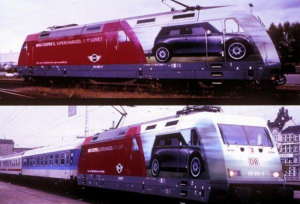 This part of the journey must have looked very much like scenes out of the Disney’s Cars movie. In order to get an early start, the Rise & Shine Rally was equally early. Morning revelry was at 7:00 am sharp at the 29th Street Mall for a group photo and then bagels, pastries, juice and coffee from Panera before hitting the road. With such early departures and long drives, it is no wonder that evening events in some cities end at a respectable 9:30 pm. Sleep is hard to come by on long road trips. 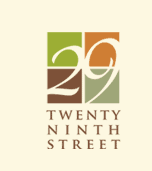 Twenty Ninth Street Mall is a retail center in Boulder, Colorado that is separated into three distinct neighborhoods connected by a series of streets, walkways, te rraces, plazas and other outdoor community gathering spaces. The center is anchored by Macy’s, Home Depot, Century Theaters, Staples, and Colorado Athletic Club. This district, unlike the mall that preceded it, consists of a collection of small strip malls and big-box stores, separated by streets which carry automobile traffic. It is not a mall as that term is ordinarily understood. The center is actually considered an open-air “lifestyle center” combining retail, office, entertainment and dining offerings. Some of the very roads the MINIs traversed on during this part of their journey were once part of the famous Route 66. 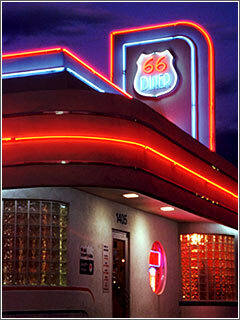 Route 66 was first commissioned in 1926, picking up as many bits and pieces of existing road as possible. The first route alignment of 1926-1937 ran north-south through Albuquerque, part of a giant S-curve that linked Santa Rosa, Santa Fe, Albuquerque, Los Lunas and several Indian reservations. This original section was 506 miles of mostly unpaved road. Albuquerque boosters began pushing for a straighter route, and in 1931, federal money was designated to realign the road to a more east-west direction. By 1937, the entire route from Chicago, Ill., to Santa Monica, Calif., was paved. The new road carried thousands of GI’s longing for a better look at America and yearning to see what the country held in store for them. Route 66 was fixed in the memory of many by John Steinbeck’s novel, The Grapes of Wrath and Bobby Troup’s “Get Your Kicks on Route 66″ lyric (yes that’s Doctor, Joe Early for those who remember the “Emergency” TV Show) as well as CBS TV’s “Route 66.” Today I-40 runs over much of the original roadbed, but many parts of the old highway can be seen today just beside I-40. As those already participating in MTTS 2012 were moving closer to California, my sister and I were about to join in on the fun. But before we slid in with the MINIs in progress, we took a little “car” related side trip of our own. Sis and I were traveling similar looking surroundings but doing so on the new Disneyland Cars ride. Radiator Springs truly comes to life in the new Cars Land and the cast of characters are all there; Lighting, Mater, Doc Hudson, Luigi and many others. 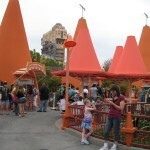 I have to say though, my favorite area was the Cozy Cone Motel! 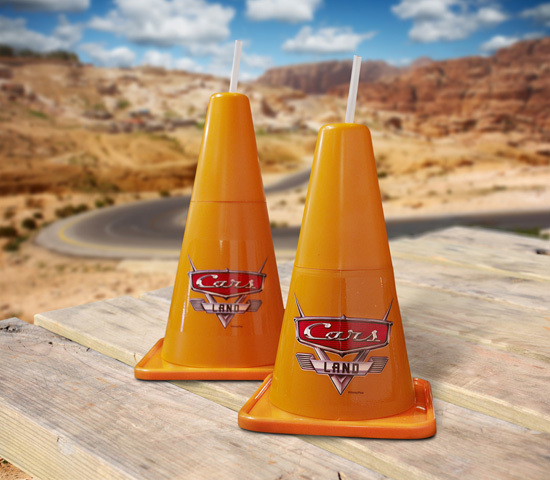 They are too cute; everywhere you look, it’s all orange cones, even the beverage containers. Those babies are going with me to the next car show! The ride itself was great, but much too short. It is not a thrill ride by any means but the interaction with the movie characters is great fun and the attention to detail and the re-creation of Radiator Springs is amazing. 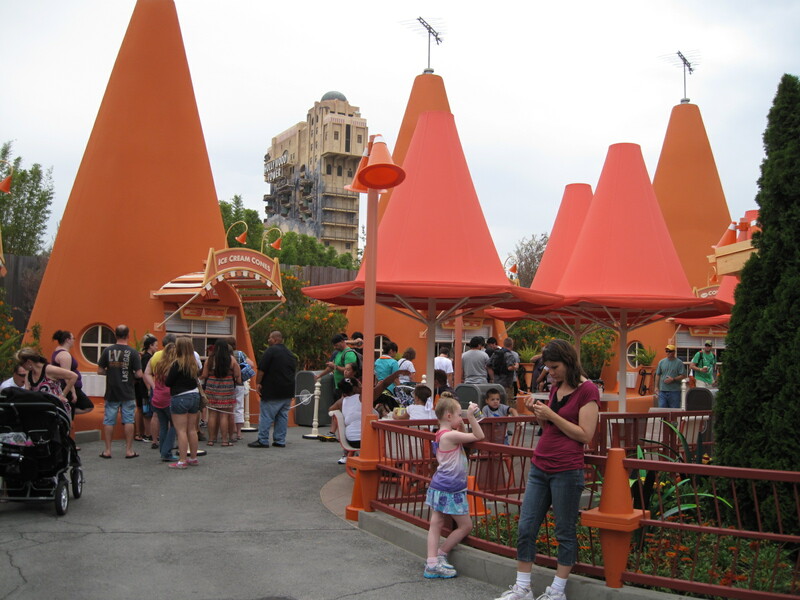 If you have ever been to California Adventure in the past, you will not recognize it now. Gone are the huge California letters just outside the entrance, the Golden Gate Bridge, the Super Chief Train and the Sun plaza. Walking through the entrance gates you step back into downtown LA, circa 1920’s. 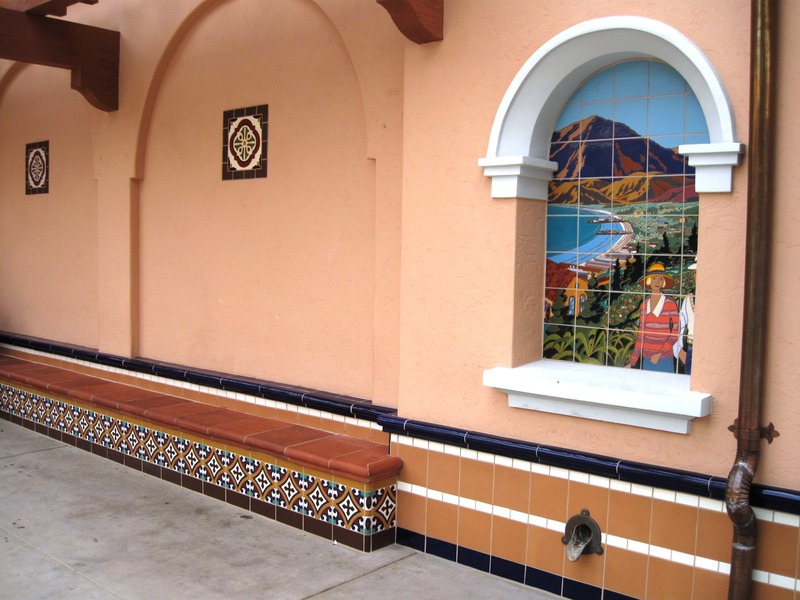 The buildings in this area have wonderful examples of Catalina Tile. If you are not familiar with Catalina Tile, in the early 1920s an interesting discovery was made on Santa Catalina Island which led to the development of a new industry for the Island. This industry, although only in operation for a decade, left a lasting impression on the Island and an indelible mark on the history of California pottery and tile. The clay deposits which were first found by William Wrigley Jr. and David M. Renton prompted the Santa Catalina Island Company to invest in the development of a brick and tile factory. By 1927 the plant was complete and in full operation. 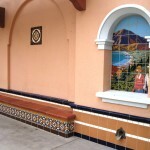 Disney has paid close attention and paid homage to the Catalina Tile industry. By late afternoon on Day Nine, the weather in LA was wonderful and I am sure would be considered a welcome relief to the the MINIs and their drivers. I had been watching the temps as the MINIs made their way across the States and high 70’s to low 80’s with little to no humidity in LA would seem like heaven compared to what they had been experiencing thus far. As the MTTS participants were enjoying an evening at Sandia MINI in Albuquerque, riding the Mechanical Bull and enjoying live music and great food and drinks, my sister and I were enjoying an exceptional Mexican dinner and getting excited about joining in on the MTTS festivities on Day 11 of MINI Takes The States. Our MINI adventure had a special twist however, one which enabled us to share our adventure with a very special little convertible that we fell in love with. But that story will have to wait until Day 10 of our Recap plus more. As for those already on the road, Day 10 of MTTS saw the Motorers meeting up at Sandia MINI once again for a southwest flavored breakfast. It was then off to the land of cactus, Phoenix/Scottsdale Arizona and a drive of 418 miles. 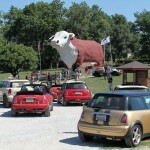 Colorado Bound was the cry of the MINI Motorers as they set out the 486 miles from Lincoln Nebraska to Boulder Colorado. After a quick round-up in the parking lot of Traders Joe’s it was “on the road again” heading further west as Day Eight of MTTS headed out. After the long drive, the evening event kicked off at the 29th Street Mall with the “Colorado Block Party”. Twenty Ninth Street is a retail center in Boulder, Colorado (managed by The Macerich Company) that opened on October 13, 2006 on the former site of Crossroads Mall. The center is separated into three distinct neighborhoods connected by a series of streets, walkways, terraces, plazas and other outdoor community gathering spaces. The center is anchored by Macy’s, Home Depot, Century Theaters, Borders (now defunct), Staples, and Colorado Athletic Club. This district, unlike the mall that preceded it, consists of a collection of small strip malls and big-box stores, separated by streets which carry automobile traffic. It is not a mall as that term is ordinarily understood. The center is actually considered an open-air “lifestyle center” combining retail, office, entertainment and dining offerings. 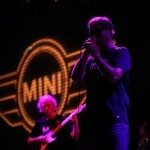 The “Colorado Block Party” as it was called, was sponsored by Colorado MINI Dealers (MINI of Loveland and Schomp MINI). Live music was provided by Boulder-native Jeff Brinkman Band as the Motorers watched the sunset over the Flatirons. The evening offered brews from local, specialty breweries – the first two brews on MINI USA. Special tastes were provided by Colorado native restaurants Chipotle and Noodles. 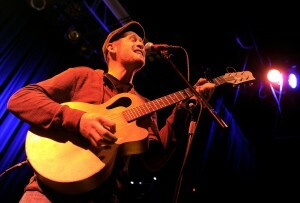 For Jeff Brinkman, writing a good song is like filling a pool with his emotions and inviting others to jump in. At age 7, he started learning guitar. After losing his mother to cancer when he was 10, he wrote a letter to her, which turned into his first song. 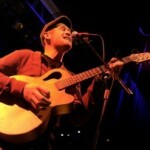 Since then, Jeff has been sharing his experiences through writing and playing music. Jeff and his team now offer their music to causes that move and shake the spirit, motivating people to make a difference. Their most recent album, To The Bones, is a fusion of loss, love, insight and hope. It’s music where others can find a piece of themselves. Day Nine sees the MTTS group leaving Colorado and heading 447 miles to Albuquerque New Mexico. The morning starts bright and early at 7:00 am with bagels, pastries and juice from Panera and a group picture from the 29th Street Mall. There is still time to register to join this exciting event in progress. 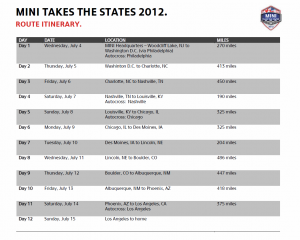 For more information, just visit MINI TAKES THE STATES by clicking here. GO FORTH. GO WEST. GO MINI. Click here for the MTTS Photo Album. 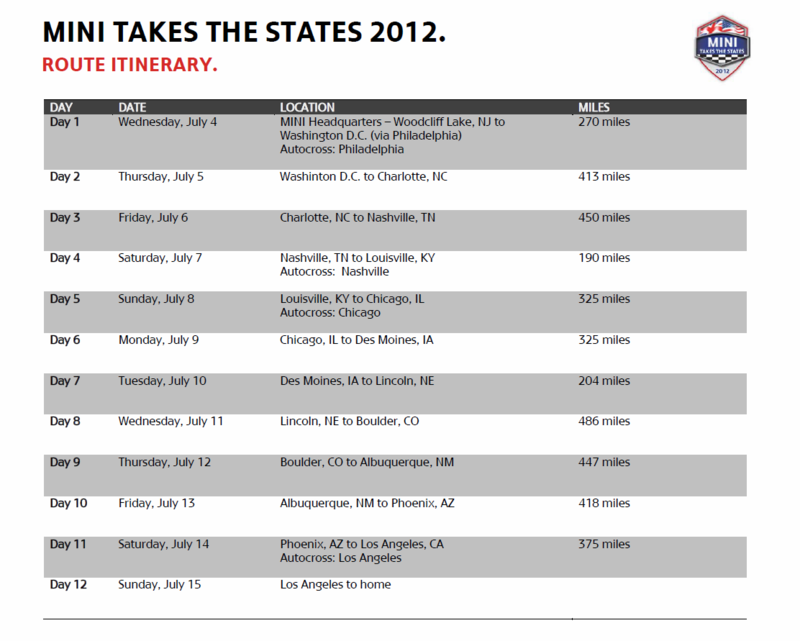 Lincoln Nebraska was the destination for Day Seven of MINI Takes The States. 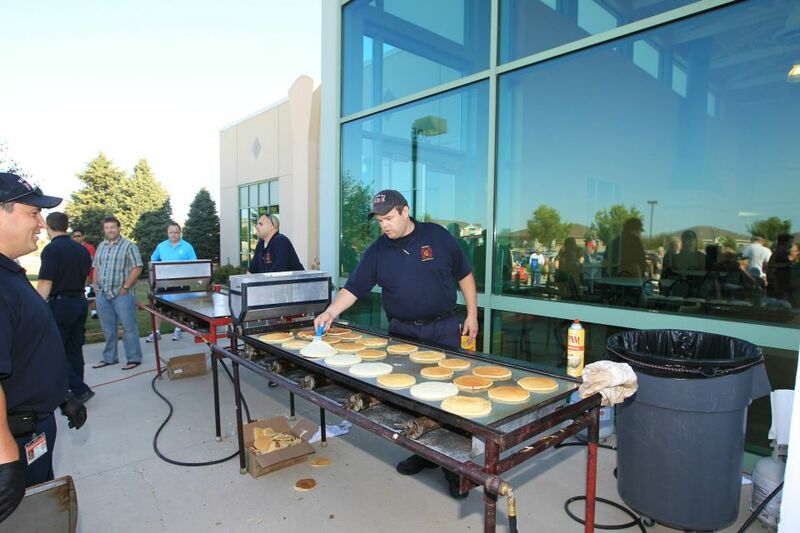 Two hundred and four miles was the drive of the day but before that, the Rise & Shine Rally, assisted by the Waukee Fire Department, whipped up a Charity Flapjack Breakfast. In exchange for a donation of $7, each MINI Motorist received a short stack of flapjacks and a morning beverage. All donations benefited the Fire Department charity. 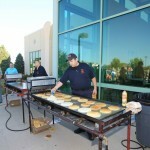 In conjunction with the Waukee Fire Department, the early morning breakfast was sponsored by MINI of Des Moine s. The breakfast was held in the Point of Grace Church parking lot and was also the site for the overhead pictures of the MINIs in attendance thanks to a little assist from the fire apparatus. Upon arriving in Lincoln, and after check-in to their hotels, Motorers could participate in tours of the University of Nebraska-Lincoln Athletic facilities and have lunch at the Champions Club. Later in the day, this was followed up with cocktails and dinner also at the Club. 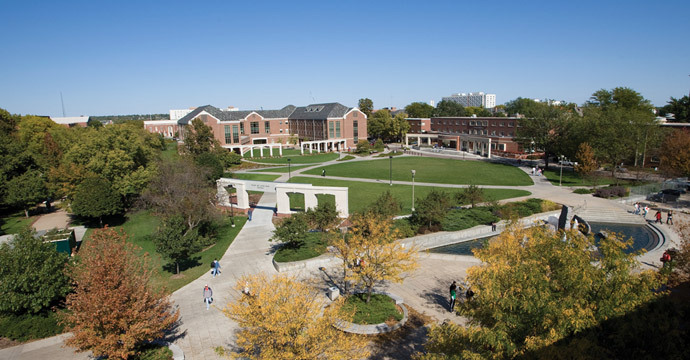 The University of Nebraska–Lincoln (commonly referred to as Nebraska, UNL or NU) is a public research university located in the city of Lincoln in the US state of Nebraska. 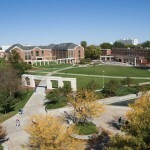 It is the state’s oldest and largest university and the flagship university of the University of Nebraska system. The university was chartered by the legislature in 1869 as a land-grant university under the 1862 Morrill Act, two years after Nebraska’s statehood into the United States. Around the turn of the 20th century, the university began to expand significantly, hiring professors from eastern schools to teach in the newly organized professional colleges while also producing groundbreaking research in agricultural sciences. The “Nebraska method” of ecological study developed here during this time, which pioneered grassland ecology and laid the foundation for research in theoretical ecology for the rest of the 20th century. The university is organized into eight colleges, located on two campuses in Lincoln with over 100 classroom buildings and research facilities. Its athletic program, called the Cornhuskers, is a member of the Big Ten Conference. The Nebraska football team has won 46 conference championships and five national championships since 1890. The women’s volleyball team has won three national championships along with eight other appearances in the Final Four. The Husker football team plays its home games at Memorial Stadium, selling out every game since 1962. The stadium’s current capacity is about 85,000 people, larger than the population of Nebraska’s third-largest city. 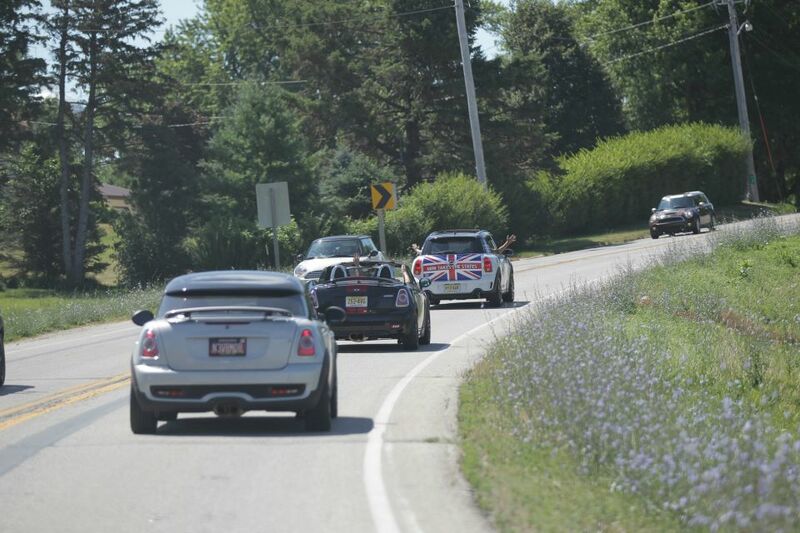 Four hundred and eighty-six miles of open road lay ahead of the MINIs at the beginning of Day Eight. The Rise & Shine at the Trader Joe’s Parking Lot was just the start of the trip to Boulder Colorado. 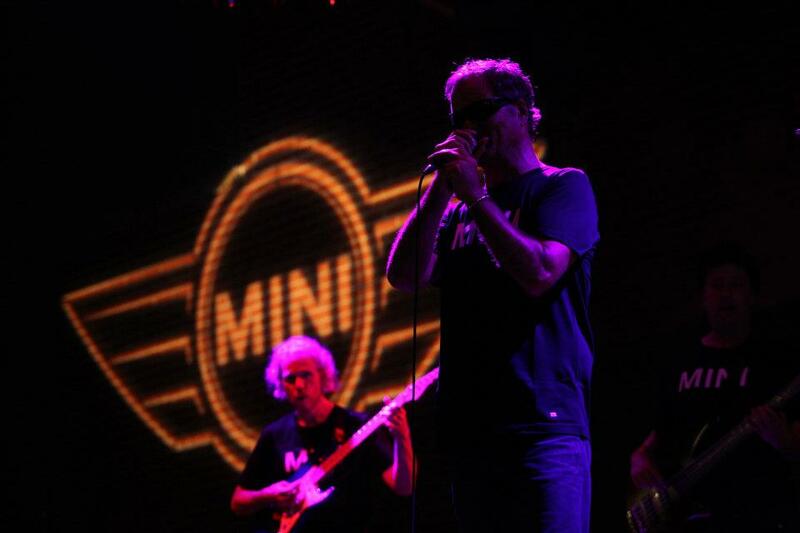 The evening event for Boulder called for a Colorado Block party with cold beer and a live band all hosted by Colorado MINI Dealers (MINI of Loveland and Schomp MINI). Day Six marked the run from Chicago to De Moines, IA. a 325 mile trip. 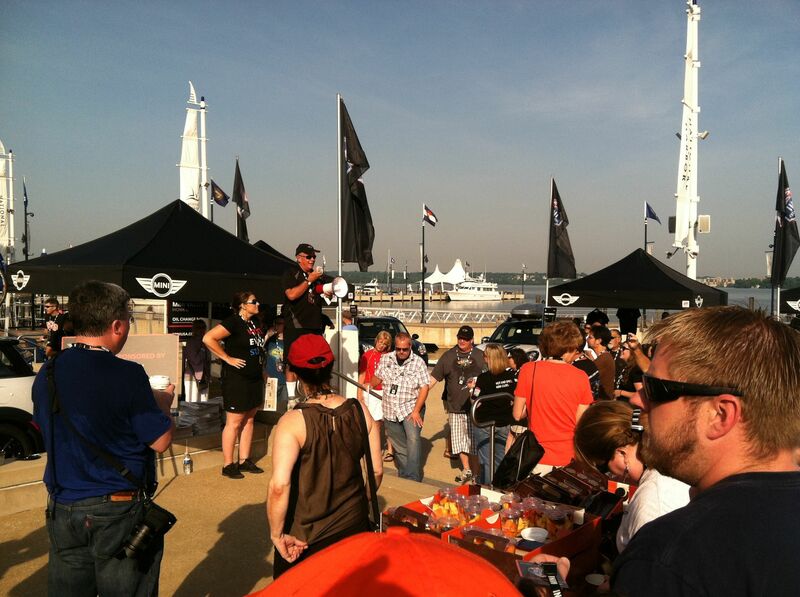 The Rise & Shine Rally kicked off from Soldier Field with a breakfast sponsored by MINI Road Assistance. Those joining the next leg of the journey were rounded up and then it was off to De Moines. 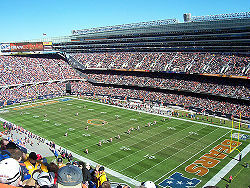 Soldier Field serves as a memorial to American soldiers who have died in past wars, hence its name. It was designed in 1919 and completed in the 1920s. It officially opened on October 9, 1924, the 53rd anniversary of the Great Chicago Fire, as Municipal Grant Park Stadium, changing its name to Soldier Field on November 11, 1925. It’s formal dedication as Soldier Field was on Saturday, November 27, 1926, during the 29th annual playing of the Army vs Navy game. Its design is modeled on the Greco-Roman architectural tradition, with doric columns rising above the stands. However, after being rebuilt, the modern stands now dwarf the columns. 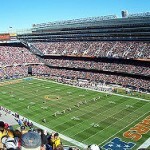 Although used as the site for many sporting events and exhibitions, it was not until September 1971 that the Chicago Bears first made it their home. They previously played at Wrigley Field, best known as the home of the Chicago Cubs baseball team. Beginning in 1978, the plank seating was replaced by individual seats with backs and armrests. By 1994, capacity was 66,944. AstroTurf replaced the grass in 1971, when the Bears moved to the stadium. Grass returned for the 1988 football season. The field features many memorials to past Bears heroes. It is said that it has twice as many memorials than any other stadium. The end of the day event in Des Moines took place at the Blank Zoo. MINI of Des Moines provided a unique opportunity to check out the Wild Things within the zoo as well as tasty food and great music. Blank Park Zoo is a 22-acre (8.9 ha) zoological park on the south side of Des Moines, Iowa near historic Fort Des Moines. 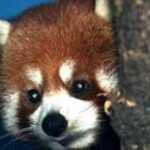 The zoo is a member of the Association of Zoos and Aquariums (AZA) and is the only accredited zoo in Iowa. The mission of the Blank Park Zoo is to inspire an appreciation of the natural world through conservation, education and recreation. In 1963, Mr. A.H. Blank donated $150,000 for the construction of a children’s zoo on decommissioned Fort Des Moines property. The Des Moines Children’s Zoo was officially opened on May 8, 1966. It was originally designed around nursery rhymes and included a castle with moat, a replica of Noah’s Ark, petting zoo and miniature railroad. 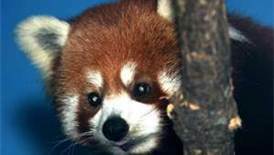 Over the next 16 years the city failed to make improvements to the zoo and was on the verge of closing until in 1981 a group of civic-minded business leaders formed the Blank Park Zoo Foundation to help save the zoo. 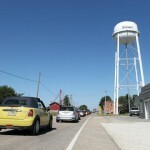 Day Seven sees MTTS heading to Lincoln, Nebraska. The morning starts with MINI of Des Moines and the Waukee Fire Department hosting a Charity Flapjack Breakfast. The evening event is set to include fun, food and activities at the home of the Cornhuskers, University of Nebraska. A Rise & Shine Rally and a MINIcross was once again on the agenda for the fifth day of the MTTS cross-country event. Rise & Shine was held at Carrie Gaulbert Cox Park and the MINIcross which took place from 12:00 to 5:00 pm. was held at the Autobahn Country Club. Autobahn Country Club is an auto racing themed country club located in Joliet, Illinois. The facility includes a configurable main track with a 1.50-mile (2.41 km) north track, a 2.06-mile (3 .32 km) south track, a full track of 3.56 miles (5.73 km), skid pad, and a 0.8-mile (1.3 km) kart track. The kart track has a kart fleet, and also hosts in-house races. The club has a free test fleet of Cadillacs, Lexus, AMG Mercedes, and a Nismo Nissan 370Z. The tracks have member racing for Mazda MX-5 Miata, GT cars, and Indy cars. The club requires a $35,000 membership fee to use the tracks and ‘club house’, which contains a bar and banquet hall. The club has a racing school with teachers including notable racer Tom Bagley. There is also a def ensive driving school. for teenagers. Many members purchase land to build garages and personal condos. Notable members include legendary racer Bobby Rahal and Tom Bagley. The club is home to a Ferrari Dino, a Ford Mustang Boss 302, a Nash Healey, an Allard K2, an Alfa Romeo Zagato, and many other exotic cars. Day Six MTTS sets off from Chicago to Des Moines, IA. motoring 325 miles for the day. The Rise & Shine Rally begins at Soldier Field with breakfast sponsored by MINI Roadside Assistance. The evening event gets wild at the Blank Zoo. Day Four had the MINIs kicking off the morning with another Rise & Shine Rally. This time it was was good Southern county cookin’ at the famous Loveless Cafe Barn. After a quick breakfast it was time for MINIcross at LP Field in Nashville. For those continuing on with MTTS 2012 the day consisted of a 190 mile drive from Nashville, TN to Louisville, KY. and then a Tailgate (MINI Boot) Party followed by a Louisville Bats baseball game at the famed Louisville Slugger Field. 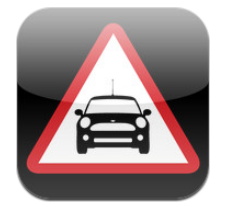 MINIcross is an awesome, pedal-to the-metal closed course, staffed by professional drivers and built with one singular purpose in mind, the MINI driver. The driver is able to experience the thrill of the MINI slalom and test the limits of MINI’s famed go-kart engineering, surrounded by the adoring fans of the MINI community. The site of the Rise & Shine, the Loveless Barn is Nashville’s most versatile event venue. 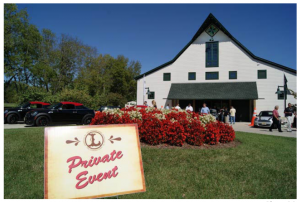 With two large lawns, covered porches and walls that roll open to the outside, the Loveless Barn can handle any event, big or small, casual or formal. Sitting back behind the world-famous historic Loveless Cafe, the Loveless Barn looks right at home, poised ready to welcome guests. Located on Highway 100 in Nashville Tennessee at the Northern Terminus of the Natchez Trace Parkway, the Loveless Cafe remains unchanged in the quaint country charm and good cooking that has made it a landmark in the South since its doors opened over half a century ago. Nationally acclaimed and frequented by celebrities, world travelers and local appetites alike, the Loveless Cafe serves up award-winning country ham and red eye gravy, real Southern-fried chicken, and Nashville’s favorite scratch biscuits with homemade preserves cooked right in the kitchen. The Loveless story has been told the world over, from Gourmet Magazine and Bon Appetit to U.S. News and World Report, CBS Television, and People Magazine. Come discover Loveless for yourself, and experience Southern dining and hospitality at their best. LP Field is a football stadium in Nashville, Tennessee, United States, owned by the Metropolitan Government of Nashville and Davidson County. The stadium is used primarily for sporting events and music concerts and festivals. 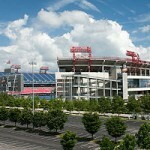 The stadium is the home field of the NFL’s Tennessee Titans and the Tennessee State University Tigers. 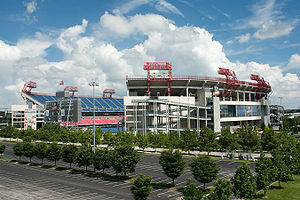 It is also the site of the Franklin American Mortgage Music City Bowl, a post-season collage football game played each December, and is occasionally used as a venue for soccer matches. The stadium is also used for large concerts such as the CMA Music Festival nightly concerts which take place for four days every June. 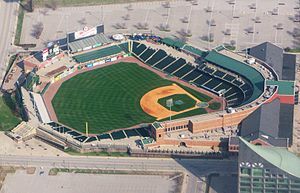 Louisville Slugger Field is a baseball stadium in Louisville, Kentucky and is home to the Louisville Bats, the AAA affiliate of the Cincinnati Reds. It opened in 2000 with seats for 13,131 fans. The Ohio River and state of Indiana are visible from the park. 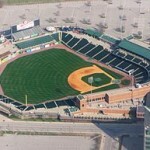 The design of Louisville Slugger Field is unique due to a former train shed that was on the grounds being incorporated into the stadium. The naming rights for the stadium were purchased by Hillerich & Bradsby, makers of the famous Louisville Slugger baseball bat and the Louisville Slugger Museum & Factory is down the street. 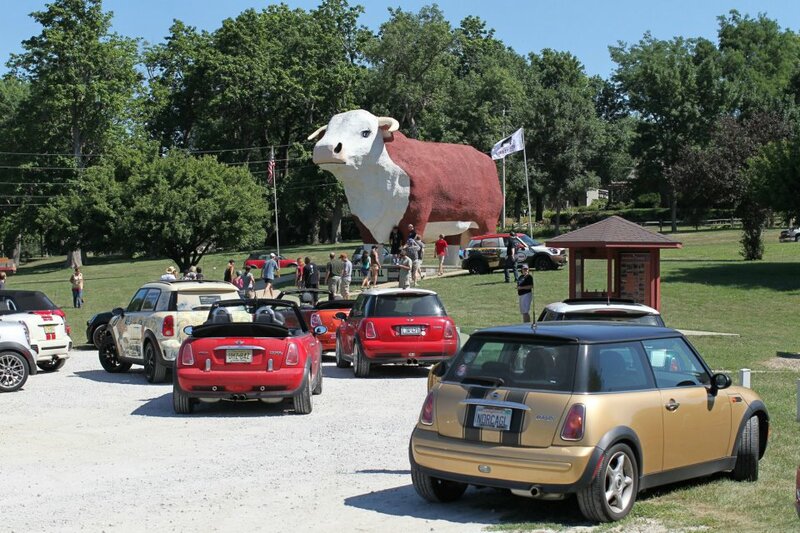 Day Five of MTTS sees the MINIs motoring 325 miles from Louisville, KY to Chicago, IL. with the Rise & Shine Rally kicking off at 7:30 am. at Carrie Gaulbert Cox Park. The weather has been looking pretty brutal for all of you MINIs making your way cross-country and Day 3 of MTTS 2012 (Friday, July 6th) looked no different. It would appear that you are experiencing near record highs reaching close to the 100 degrees mark. While the temps on the West Coast have been higher (inland) the heat out here is dry, as they say. The heat did and humidty did not seem to impact the fun being had by those attending MTTS 2012 however. Day 3 consisted of a 450 mile drive from Charlotte, North Carolina to Nashville, Tennesee. The Rise & Shine Rally kicked off at 6:30 am which included a lite breakfast provided by Flow MINI of Winston-Salem, North Carolina and then a lap around the World Famous Charolotte Motor Speedway, all before lunch. Charlotte Motor Speedway is a motor sports complex located in Concord, North Carolina, 13 miles from Charlotte, North Carolina. 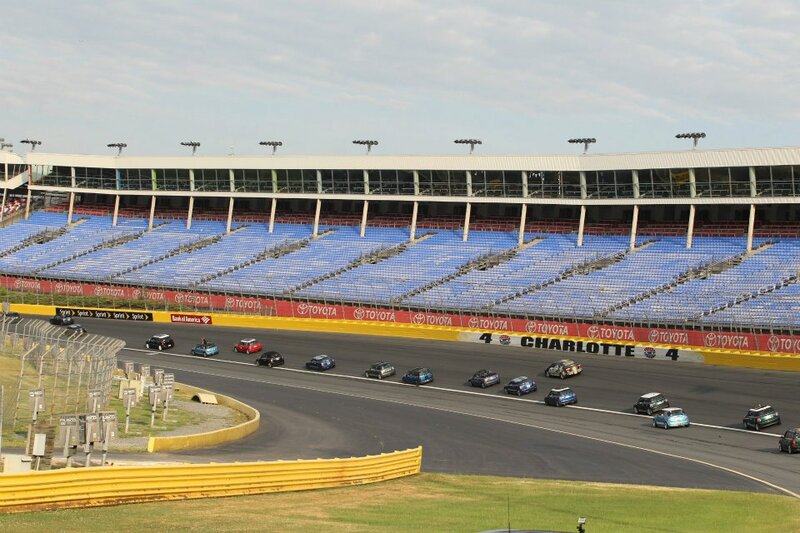 The complex features a 1.5 miles (2.4 km) quad oval track that hosts NASCAR racing including the prestigious Coca-Cola 600 on Memorial Day weekend and the Sprint All-Star Race. 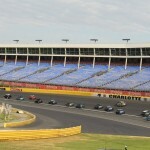 The speedway was built in 1959 and is considered the home track for NASCAR with many race teams located in the Charlotte. The 2,000 acres (810 ha) complex also features a state-of-the-art 0.25 miles (0.40 km) drag racing strip, ZMAX Dragway. It is the only all-concrete, four-lane drag strip in the United States and hosts NHRA events. Alongside the drag strip is a state-of-the-art clay oval that hosts dirt racing including the World of Outlaws finals. 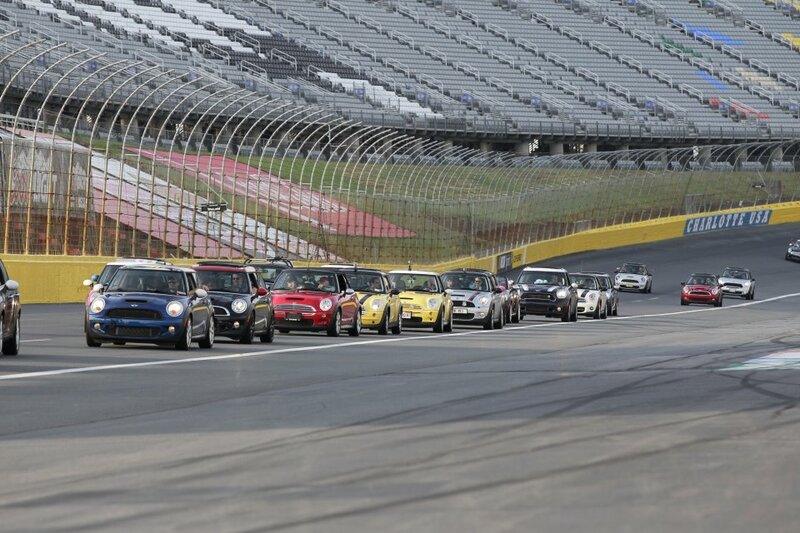 After taking some laps at the Speedway, the MINIs were then off Nashville, 450 miles away. The trip included the famous MINIs on the Dragon route. Deals Gap, is a portion of U.S. Route 129 in Blount County, Tennessee. The community has an unofficial population of 6, which is posted on a welcoming sign. The community’s approximate elevation is 1,756 feet above sea level. Deals Gap is a popular and internationally famous destination for driving enthusiasts (of motorcycles and sports cars), as it is located along a stretch of two-lane road known as “The Dragon” since 1981 . 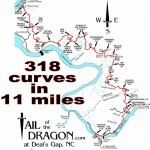 The 11-mile stretch of the Dragon in Tennessee is said to have 318 curves. 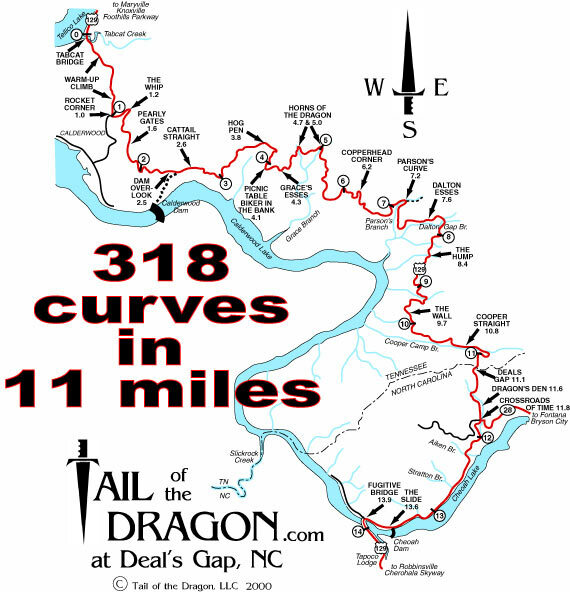 Some of the Dragon’s sharpest curves have names like Copperhead Corner, Hog Pen Bend, Wheelie Hell, Shade Tree Corner, Mud Corner, Sunset Corner, Gravity Cavity, Beginner’s End, and Brake or Bust Bend. The road earned its name from its curves being said to resemble a dragon’s tail. The stretch bears the street name “Tapoco Road” in North Carolina and “Calderwood Highway” in Tennessee and is signed entirely by U.S. 129. State Route 115 is included on maps, and is the name used by Tennessee Department of Transportation for highway contracts. 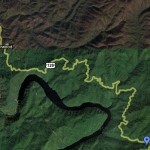 Since part of the road is also the southwestern border of the Great Smoky Mountains National Park, there is no development along the 11-mile stretch, resulting in no danger of vehicles pulling out in front of those in the right of way. 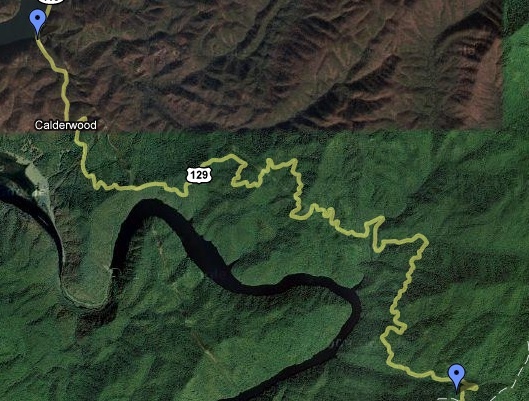 It mostly travels through forested area and there are a few scenic overlooks and pull-off points along the route. The speed limit on the Dragon was 55 mph prior to 1992; it was reduced to 30 mph in 2005. The presence of law enforcement on the Tennessee portion has dramatically increased. The evening of Day 3 wound down at the Wildhorse Saloon in Nashville. 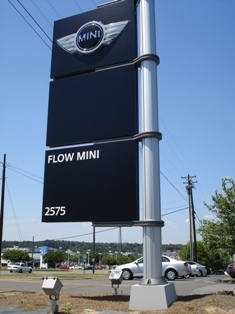 The event was sponsored by MINI of Nashville. 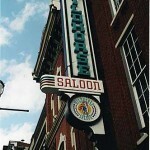 The Wildhorse Saloon is Nashville’s #1 Dining and Entertainment destination and a mecca of entertainment in America. To capture the attention of Nashvillians and country music visitors, on June 1, 1994, the history of the World Famous Wildhorse Saloon began with country superstar Reba McEntire hearding a stampede of live cattle through the streets of Music City, also known as Nashville, Tennessee. The cattle were herded down Second Avenue and past the front doors of the newly opened club. Since then, the Wildhorse has continued to capture the interest of visitors with its award-winning menu, unique attractions and one-of-a-kind capabilities. 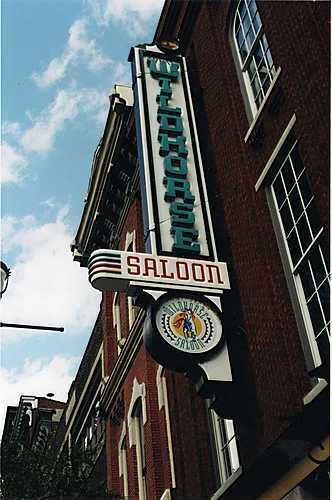 The Wildhorse Saloon turned a three-level historic warehouse into a 66,000 square foot live music and dance destination. 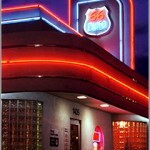 The Wildhorse is simultaneously a restaurant, bar, concert site, dance venue and TV studio. The Wildhorse® Saloon is a three-level, 66,000 square foot restaurant, bar, live music venue and dance destination that sees more than 1.5 million music fans stampede through its doors annually. Since opening in 1994, the venue has played host to the top performing artists in all genres, including Dolly Parton, Bret Michaels, Lady Antebellum, Ringo Starr, Rick Springfield and Craig Morgan. The Wildhorse is the largest per capita restaurant in all of Tennessee and also has the largest video wall in Music City, not to mention the largest dance floor. Live music for the event was provided by the winner of the Battle of the Saddle band contest. Good times, MINI of Nashville. 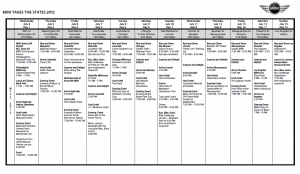 Day Four of MTTS takes the Motorers from Nashville to Louisville, Kentucky, a mere 190 miles. The main event is a tailgating party at Slugger Field, MINI boot style, followed by a Louisville Bats baseball game at Louisville Slugger Field. Day 2 of MTTS 2012 (Thursday, July 5th) saw the MINI caravan departing from Washington, D.C. and hitting the open road for the 413 mile trip to Charlotte, North Carolina. The day began with a 7:30 am Rise & Shine Rally which had MINI owners meeting and greeting other fellow motorists. With a quick breakfast, the second leg of the cross-country leg headed out. The funky sounds” of the The Fabulous Swingin’ Richards band can be heard here in a demo video. 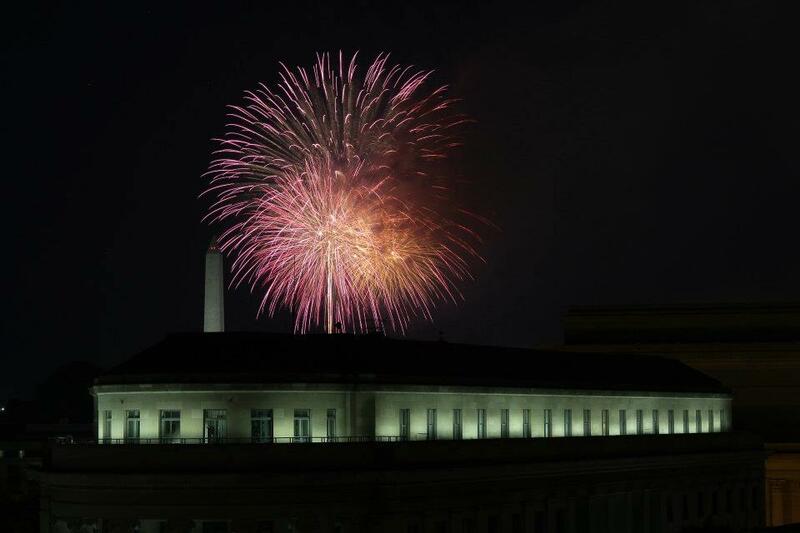 The event ended with another Fireworks Finale. Keep those pictures coming folks, as those of us joining you later, are getting more and more excited with each and every picture! 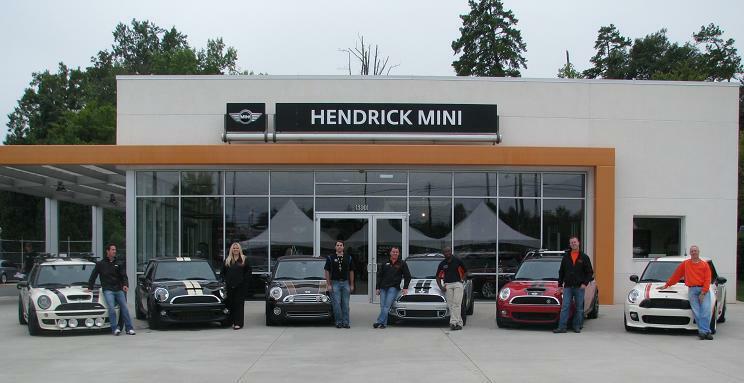 Hendrick MINI sponsored an event at the NC Music Factory – MINI Rocks the Rivals in June 2011. Click here for the video and a flavor of the Music Factory. 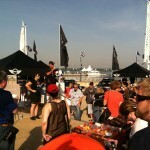 On the third morning of MTTS 2012, Friday July 6th, the Rise & Shine event kicked off at 6:30 am. (Are you people nuts?) The day began by driving around the World Famous Charlotte Motor Speedway. “Rev Up for Breakfast” sponsored by Flow MINI, was also held at the Speedway and then it was off the 450 miles to Nashville, Tennessee. The scheduled evening event was at the Wildhorse Saloon with heavy southern flavored appetizers and live music from Battle of the Saddle band winner to be named. 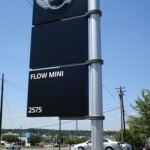 This event was sponsored by MINI of Nashville. 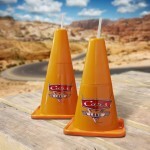 Watch for the next MTTS 2012 update. Posts and pictures are starting to come in from MTTS 2012 Rally which kicked off on July 4th from Woodcliff Lake, New Jersey. The events and the drive to the first day’s end location, Washington, D.C. looked fabulous! In spite of the heat, the MINIs and their drivers appeared not to mind. As we all know, it is all about the MINI Community that makes MINI TAKES THE STATES so much fun. As noted in yesterday’s post, the group started early on July 4th at 7:30 am for the Rise & Shine Rally at MINI Headquarters in Woodcliff Lake, New Jersey. In reviewing the pictures coming in, the MINIcross in Philadelphia and the Rise & Shine Rally in New Jersey both looked well attended. There even appeared to be a surprise visitor that you are sure not to have a very difficult time recognizing. He is sure to have had a most difficult time “behaving”. Have you guessed yet, who the visitor might have been? Check out the Photo Album at the link below to see if you guessed correctly. 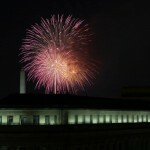 The evening event saw MINI USA and the MINI Community enjoying a breathtaking Independence Day Fireworks Display at the Nation’s Capital from the terrace of the Newseum. 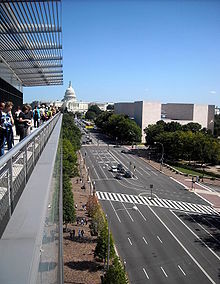 The Newseum is an interactive museum of news and journalism located at 555 Pennsylvania Ave. NW, Washington, D.C. The seven-level, 250,000-square-foot museum features 15 theaters and 14 galleries. The Newseum’s Berlin Wall Gallery includes the largest display of sections of the Berlin Wall outside of Germany. The Today’s Front Pages Gallery presents daily front pages from more than 80 international newspapers. Other galleries present topics including news history, the September 11 attacks, the First Amendment, world press freedom and the history of the Internet, TV and radio. It opened at its first location in Rosslyn, Virginia, on April 18, 1997, where it admitted visitors without charge. Its mission is “to help the public and the news media understand one another better” and to “raise public awareness of the important role of a free press in a democratic society”. In five years, the original Newseum attracted more than 2.25 million visitors. The Newseum’s operations are funded by the Freedom Forum, a nonpartisan foundation dedicated to “free press, free speech and free spirit for all people”. 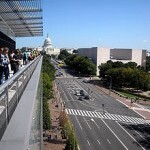 The new Newseum has become one of Washington’s most popular destinations, and its high definition television studios hosts news broadcasts including ABC’s This Week. Today, July 5th the growing MINI group headed off to Charlotte, North Carolina by starting with another Rise & Shine Rally at 7:30 am. The evening’s event, presented by MINI USA and Hendricks MINI is an evening of “great eats, drinks and the funky sounds” of the The Fabulous Swingin’ Richards band at the North Carolina Music Factory. The event will end with another Fireworks Finale. 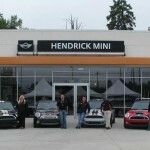 Hendricks MINI will be providing pre-event activities such as “spiff up your MINI” car wash area; car wash supplies – shammies provided by Hendricks MINI; live DJ music; cold beverages, hot dogs and hamburgers; MINI Accessories/MINI GEAR and T Shirts and a MINI “Custom Car display”.